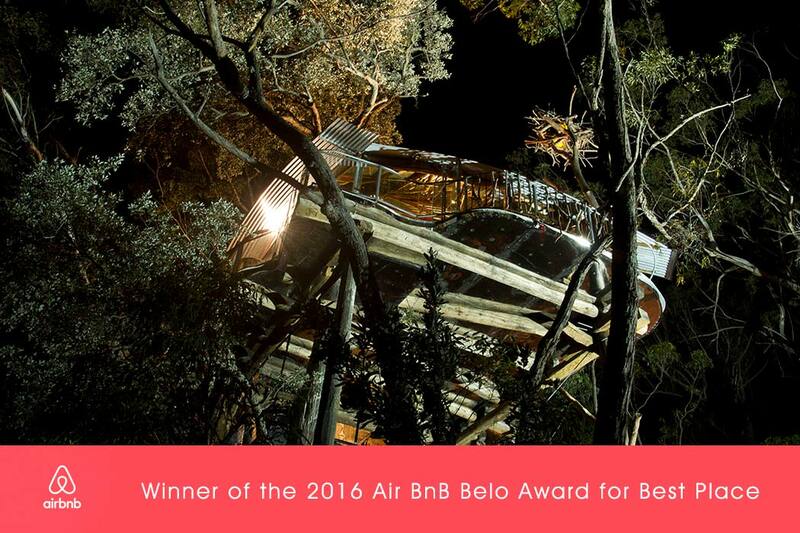 Congratulations Blue Mountains Treehouse - Winner of the Global Air BnB Open Awards for Best Place to Stay! In 2016, Air BnB celebrated it's annual best and most outstanding listings from all over the world. Out of more than 3 million listing globally, Love Cabins: Blue Mountains Treehouse was chosen for the best "Places" award. "The Places award celebrates a creative host who offers a unique environment to guests. The 2016 Places Award winner is Lionel of New South Wales, who creates an exceptional setting for guests in his treehouse in Australia’s lush Blue Mountains." "Lionel created his listing with romantic getaways for couples in mind. The unique space includes a spa, kitchenette, fireplace, and floor-to-ceiling windows that immerse guests in the stunning natural surroundings. The cabin is nestled between two national parks and a UNESCO World Heritage-designated rainforest, so visitors are able to enjoy a variety of adventures during their stay. Lionel’s guests describe a stay at his treehouse as 'an absolutely gorgeous experience'." 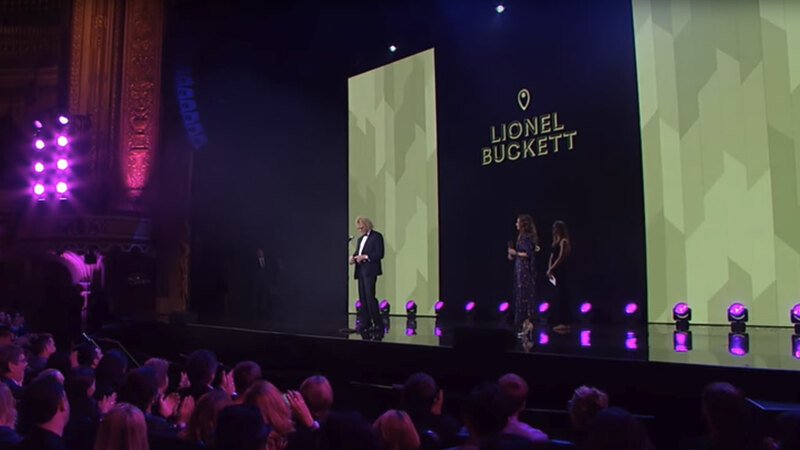 In accepting the award in Los Angeles, Calafonia, Lionel Bucket, cheif builder and creative designer, stated "The Treehouse overlooks areas of Wollemi National Park World heritage Area, which is one of the most beautiful places on the planet." Part of the reason for creating the Treehouse was so that "people could come and see why we should be doing something about climate change and not ignore it." Love Cabins is extremely proud to have recieved this award. We hope that the increased publicity & global recognition of our environmentally sustainable building designs can deliver the message of climate change action to a wider audience. Both Wollemi House and Wollemi Cabin have been recognised by the Master Builders Association for the following environmental awards.